5 reels, 20 payline, great graphics and big wins – what more could you want? All you have to do is spin to win Joker Jester Slots. Enjoy Wilds, bonus symbols, multipliers and more! Good luck! This fun and colourful slot game is packed with bonuses, multiplied wins, and more! The reel symbols include castles, instruments and juggling balls, and your Wild is the Jester, and can take the place of any other symbol to complete a winning combination. There are also exciting bonus features in Joker Jester. 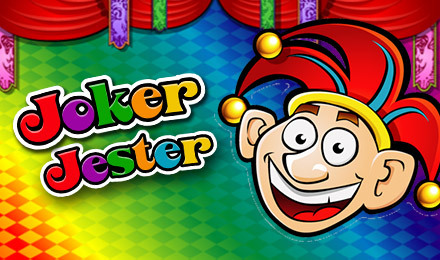 Spin 3 or more Egg Baskets on reels 1-3 to enter a special room where the Jester juggles – the more he juggles, the higher your payout! There's also a Barrel Bonus, which is activated when you line up 3 bonus barrels across reels 3-4, rewarding you with great cash wins!